Silver nanoparticles (AgNPs) have received tremendous attention due to their significant antimicrobial properties. Large numbers of reports are available on the physical, chemical, and biological syntheses of colloidal AgNPs. Since there is a great need to develop ecofriendly and sustainable methods, biological systems like bacteria, fungi, and plants are being employed to synthesize these nanoparticles. The present review focuses specifically on bacteria-mediated synthesis of AgNPs, its mechanism, and applications. Bacterial synthesis of extra- and intracellular AgNPs has been reported using biomass, supernatant, cell-free extract, and derived components. The extracellular mode of synthesis is preferred over the intracellular mode owing to easy recovery of nanoparticles. Silver-resistant genes, c-type cytochromes, peptides, cellular enzymes like nitrate reductase, and reducing cofactors play significant roles in AgNP synthesis in bacteria. 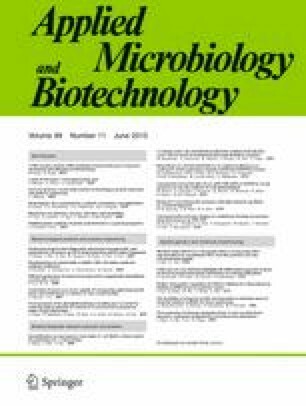 Organic materials released by bacteria act as natural capping and stabilizing agents for AgNPs, thereby preventing their aggregation and providing stability for a longer time. Regulation over reaction conditions has been suggested to control the morphology, dispersion, and yield of nanoparticles. Bacterial AgNPs have anticancer and antioxidant properties. Moreover, the antimicrobial activity of AgNPs in combination with antibiotics signifies their importance in combating the multidrug-resistant pathogenic microorganisms. Multiple microbicidal mechanisms exhibited by AgNPs, depending upon their size and shape, make them very promising as novel nanoantibiotics. RS and SAW are thankful to the University Grants Commission (UGC), New Delhi, India, for providing research fellowship. UUS acknowledges the UGC for the award of UGC-DS Kothari Post-Doctoral fellowship. The authors acknowledge the financial support from the University of Potential Excellence, Focus area: Nanobiotechnology and Biotechnology (2012–2017) awarded to the University of Pune by UGC.